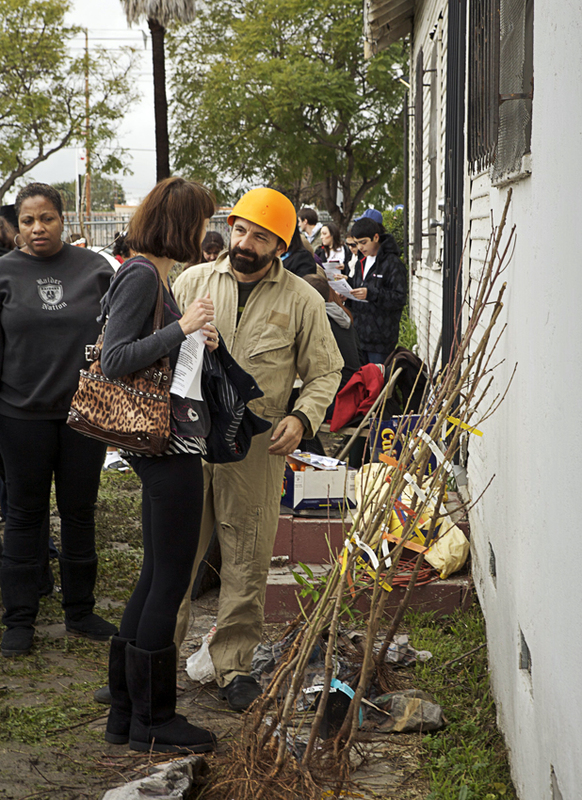 Fruit Tree Adoptions is project created in collaboration with donors, civic groups and organisations like Treepeople in Los Angeles and San Diego (CA). This work proposes to plant fruit trees seedlings in various urban contexts – both public spaces or on the peripheries of private property. 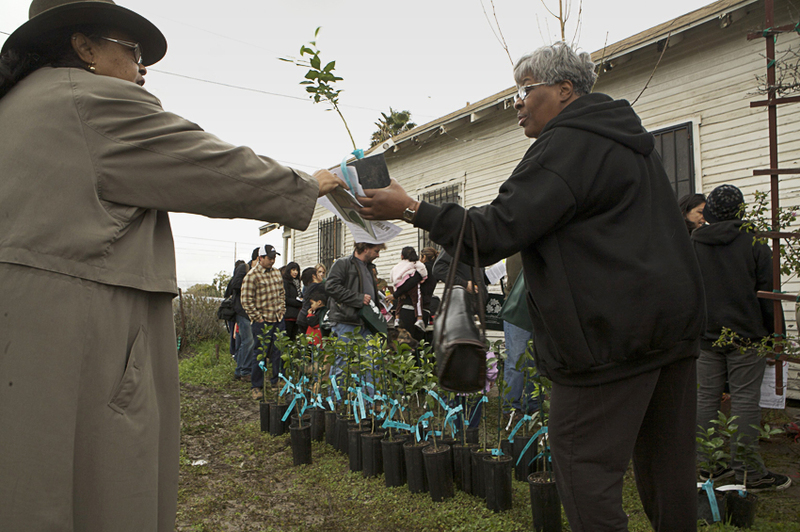 Each recipient signs an adoption form that promises to care for the tree, initiating a relationship with it. This project aims to develop new forms of community life based on generosity and sharing. The work was moreover recalibrated in a kind of performance to engage individuals and also to put the focus onto the fabric of the neighbourhood. The core of Fallen Fruit’s work is social, finding ways to get strangers to develop relationships and to create new consciousness about public space and social collaboration. Neighbourhoods change over the years to become both greener and more social and cooperative; fruit trees are not a silver bullet to urban problems, but they are a uniquely playful glue towards a more inclusive social fabric.